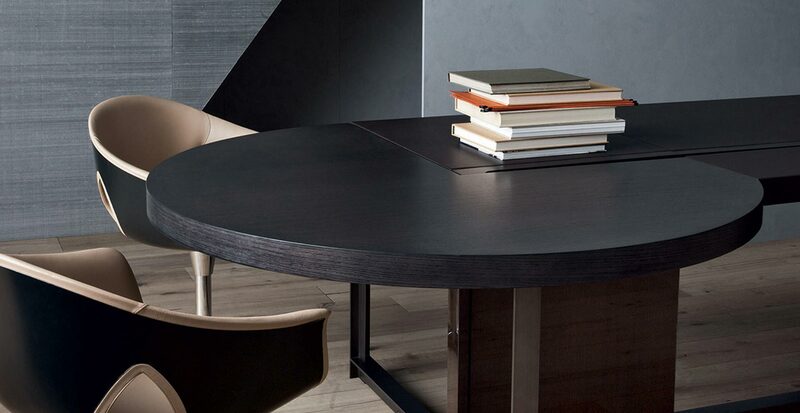 Jobs is a collection of management office furniture: desks, conference and meeting tables and furniture units. There are three versions of the desk: Easy Desk, Executive Desk and President Desk, each available with numerous accessories and variations. President and Executive Desk is also available in the new 183 cm long version. 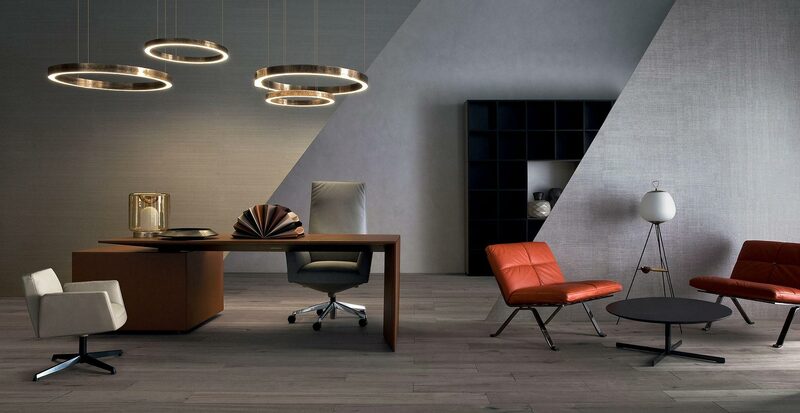 They are even more compact in size, for a versatile, contemporary workspace. Attention is paid to every detail and practical. 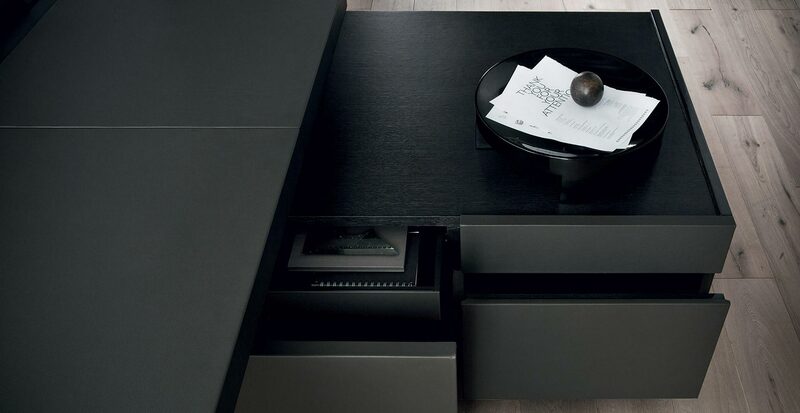 The top integrates with a storage unit connected to the desk by a cable passageway. President Desk has an open compartment and two drawers. Executive Desk has two drawers and filing cabinet. 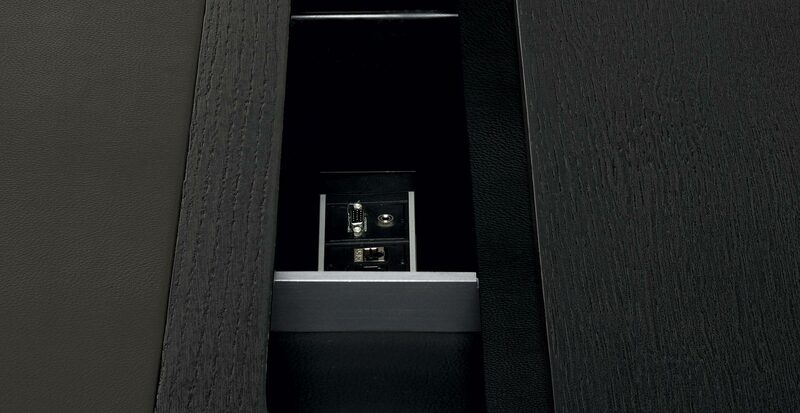 The fronts of the drawers, fitted with a soft-close mechanism like the filing cabinet, are covered in Pelle Frau® leather from the Color System. The structure of both desks is in MDF (medium density fibre board) with lead- or tobacco stained oak veneer.